Sunset South is a residential neighborhood in Wilmington, North Carolina. The community has cozy, affordable homes, perfect for small families, couples, or anyone wanting to downsize. Every home meausres roughly 1,200 to 1,400 square feet and has 3 bedrooms and 2 bathrooms. 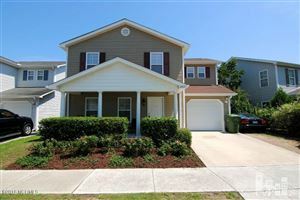 The community is a short drive from Legion Stadium, downtown Wilmington, and one of the city pools. Click on the listings below to see pictures, features, amenities, school information, and more. Interested in viewing a home or have questions? Please don't hesitate to contact us. We can help you with this community or any other in the Greater Wilmington real estate market.